The United States ordered new economic restrictions against North Korea this week that directly answer human rights abuse. The restrictions are expected to have limited impact. The United States has almost no direct business connections to North Korea. But supporters say the measures send an important message to North Korean leaders. 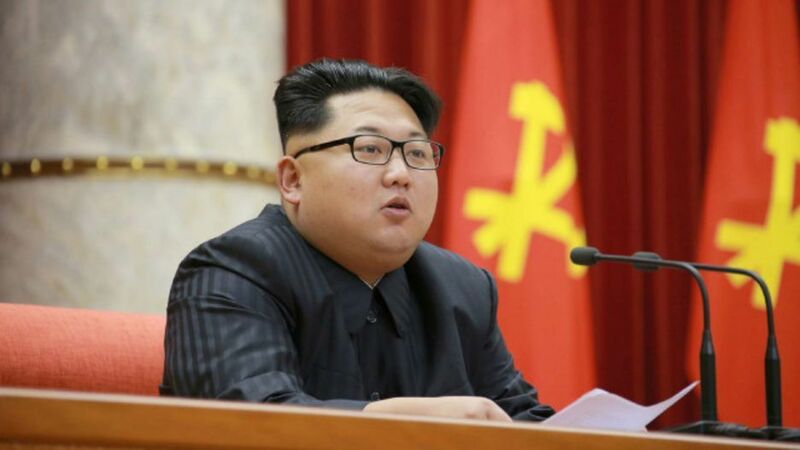 The restrictions target North Korea's leader Kim Jong Un, and other top officials as well as several government agencies. The U.S. Ambassador to the United Nations, Samantha Powers, said the restrictions send a message to many in North Korea, not just its top leaders. She said it will be heard by "prison camp managers and guards, secret police, interrogators and persecutors of defectors." The U.S. Treasury Department said North Korea's Ministry of State Security and other agencies commonly torture people. Treasury officials said such acts include beatings, forced starvation, forced abortions, sexual attacks and the killing of babies. South Korea said it supports the U.S. decision. The measures include a freeze on U.S. bank accounts belonging to Kim Jong Un and other North Korean officials. Cho June-hyuck is an official with the South Korean Foreign Ministry. He said the restrictions will raise awareness internationally of the broad and systemic human rights violations in North Korea. Among the agencies targeted is the Ministry of People's Security, which operates police stations and detention centers, including labor camps. Phil Robertson is deputy director of the Asia division of Human Rights Watch. He said the restrictions show that the international community is increasingly concerned about the North Korean government abuses. Restrictions against North Korea are nothing new. This year, the United Nations Security Council approved new measures that block North Korean money movement and the trade of minerals. Those restrictions followed North Korea's fourth nuclear test and a long-distance rocket launch. North Korea reacted to the UN move with a declaration that it would continue its nuclear development program. It also test fired short and medium distance missiles. Can you send to me an application table? It's hard to appreciate the full horror of life in a prison camp. 1.The restrictions target North Korea's leader Kim Jong Un, and other top officials as well as several government agencies. Brothers and sisters do not always agree as well as they should. 2.He said the restrictions show that the international community is increasingly concerned about the North Korean government abuses. People are concerned about the cutbacks in federal welfare programs.